I was able to load the sample 50 mm square and burnt that without a problem, but I am now unable to burn any other shape. I can alter the size, but nothing I do changes the shape. It is as if it has the G code for a square "stuck" in the system somewhere, but I cannot see how G code is generated in the first place, or where it is stored. You can clear the sketch board by using the clear sub-menu in the file menu. 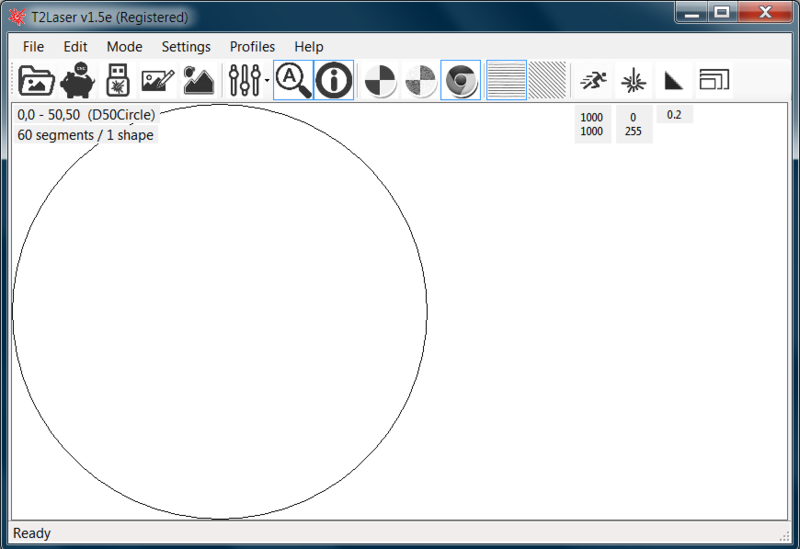 Draw again then click on the gear icon top right so you are back on the image/drawing setup. 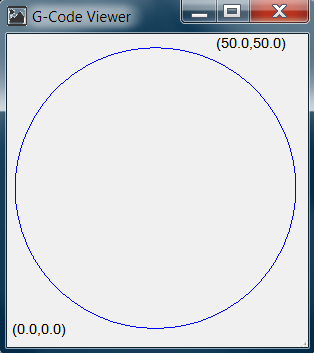 There if you click on the laser control icon it will create the gcode. @Midimanz I've never heard of that problem. If you click the circle example what does it look like on screen? You can clear using the File/Clear option or just restart T2Laser. If it looks correct on screen, then when you generate the G-code it would be correct, but you can use the simulation "View" to check it. If it's not coming out like it shows then you have some mechanical issue.